If you’re planning on heading out to Burlington Coat Factory this Black Friday, then you can expect stores to open early at 7:00am on Friday (they are usually closed all day on Thanksgiving Day). We’re still on the lookout for this year’s ad scan but you are likely to see some similar type deals as we did last year (you can scroll down the page to see last year’s Black Friday ad to get an idea of what’s to come). We will be posting their 2019 ad the moment it’s leaked so check back again soon for the latest news and updates. Until then, you can see what’s currently on sale at burlingtoncoatfactory.com (all online order above $50.00 qualify for free shipping). Be sure to also sign up to our Black Friday/Cyber Monday newsletter to stay up to date with the latest Black Friday news, rumors and more. 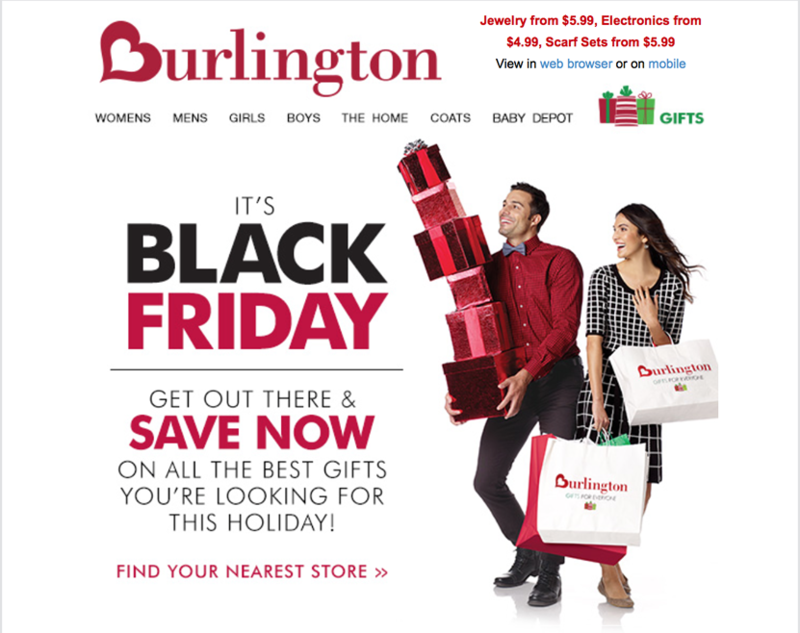 What are you planning on getting this year over Black Friday at Burlington’s? Let us know in the comments section at the bottom of the page. 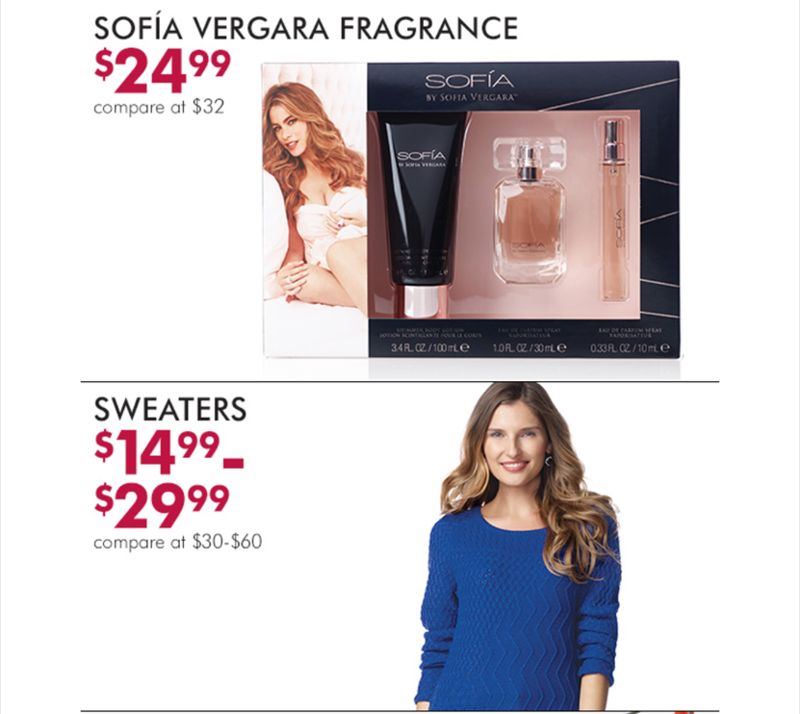 Updated on Tuesday, November 14, 2017: Burlington Coat Factory’s Black Friday ad has just been leaked — Check it out below! 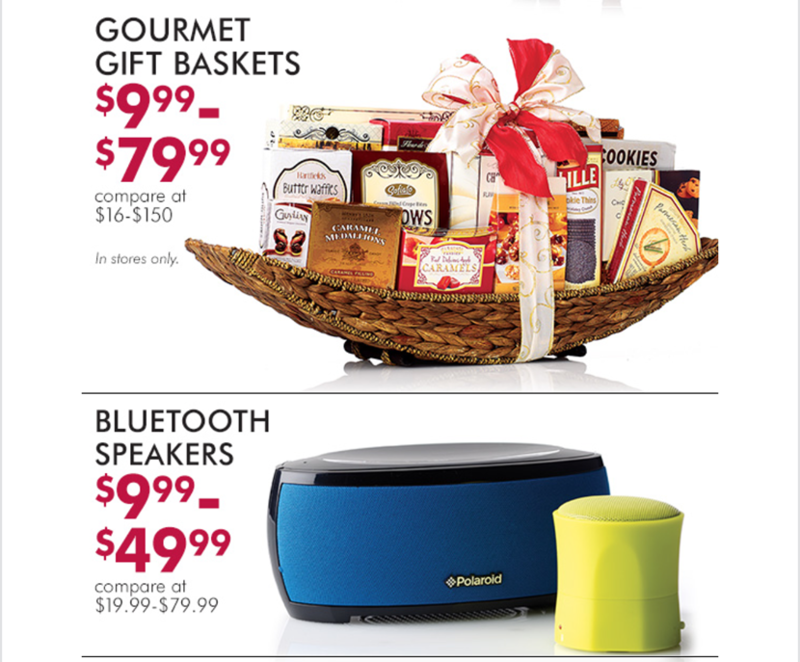 You’ll be able to shop the deals either online at BurlingtonStores.com or in-stores. 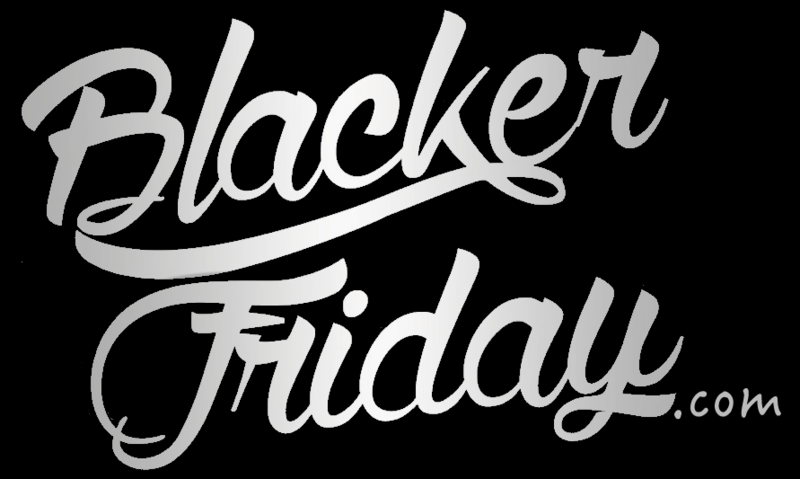 Stores open this year at 7:00am on Black Friday, November 24th. Just expect to see some of their more popular items sell out quickly. Updated November 18, 2016: Happy Friday! Just 7 days left to go to Black Friday, but we already know this morning what’s coming from Burlington Coat Factory’s sale next weekend. We’ve posted the ad scan below so check it out. Just like last year, stores open at 7:00AM on Black Friday (that’s November 25, 2016). 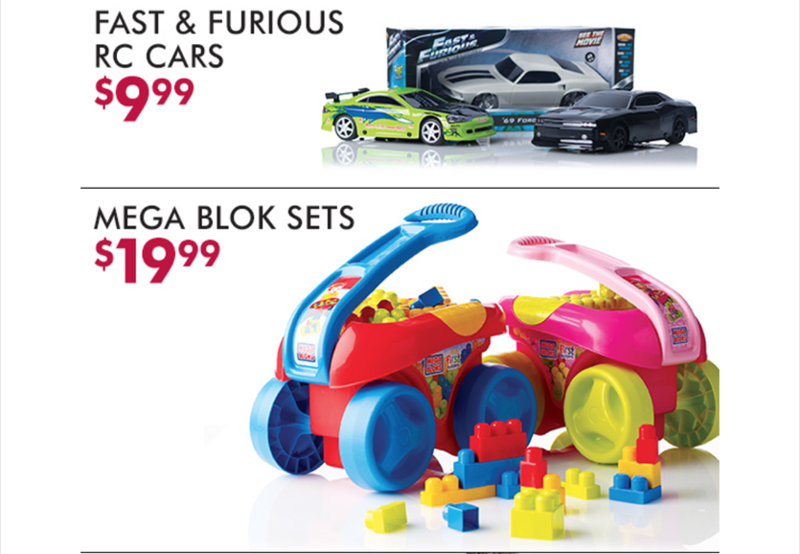 You should also be able to find most of the deals online as well with savings of up to 65% off. 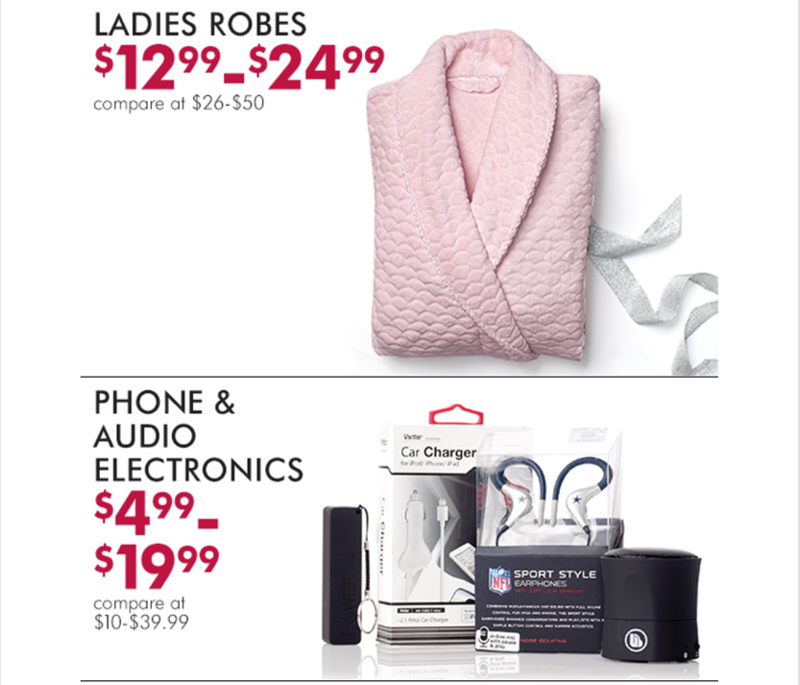 You probably know pretty well that Burlington Coat Factory is much more than just coats… and this year’s Black Friday sale really highlights that. 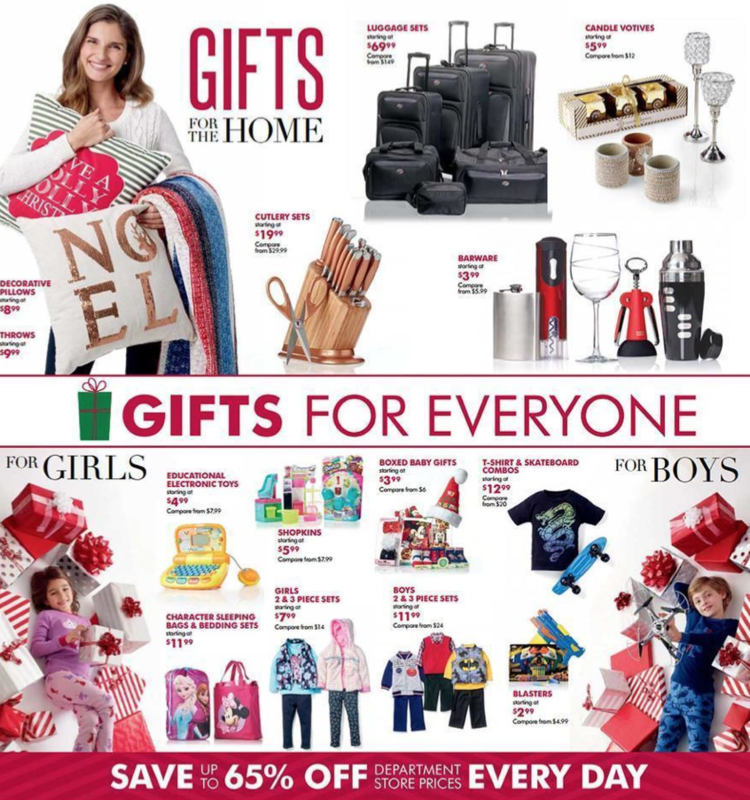 We just a copy of their full ad scan (which we’ve posted below) and you’ll see there’s a number great finds coming. 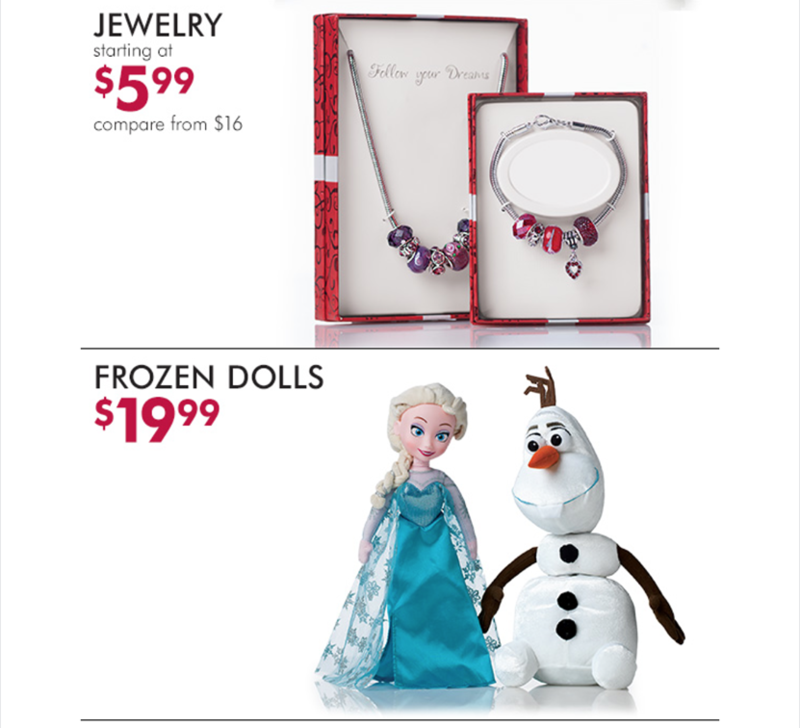 From Disney’s Frozen dolls on sale for $4.99 to bath sets on sale at just $3.99, you’ll find a number deals this year. If you’re planning on heading out to Burlington Coat Factory this Black Friday, we’re expecting most locations to remain closed on Thursday, Thanksgiving Day, and then open at 7:00am on Friday, November 27, 2015. You’ll also be able to pick up most of the deals online as well (be sure to also check out their “deal of the day” offer and clearance sections). Some of our favorite deals this year include the warm and fuzzy ladies and men’s slippers in assorted colors for just $7.99 (compare that to UGG slippers that can run you up to 10 times more! ), the men’s duck boots for $24.99, the men’s complete grooming kit for $9.99, and the ladies packaged robe set for just $12.99. 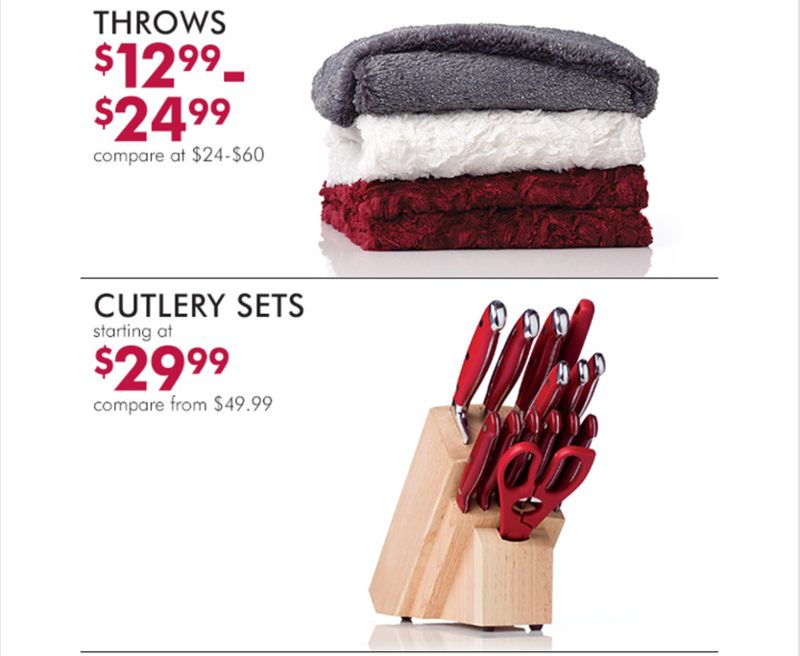 There’s also some great finds for the kitchen like a a full cutlery set for $19.99 and barware items starting at $3.99. 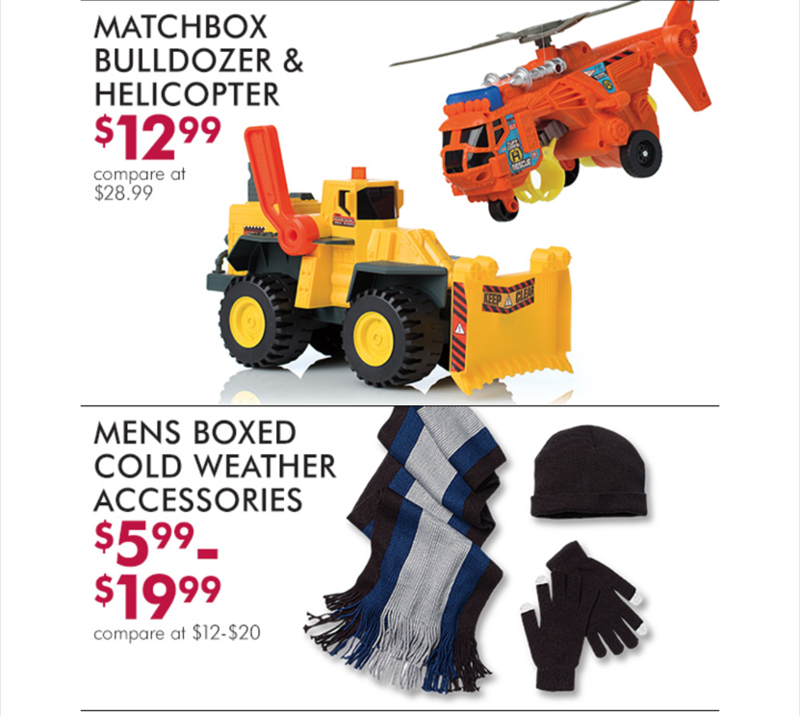 You’ll find more sale details on pages 1, 2, 3, and 4 of this year’s ad. Enjoy! 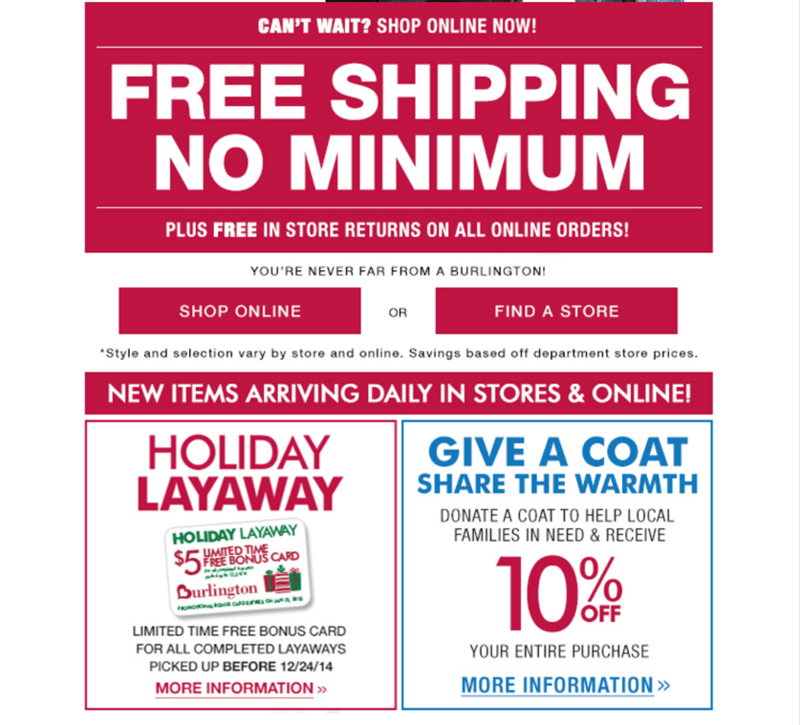 Black Friday is here and at Burlington Coat Factory this year you’ll be able to save in-store starting at 7:00am on Friday through the end of day on Cyber Monday. Stores are closed on Thanksgiving but you will be able to already take advantage of the no-minimum free shipping offer that will be available through the weekend. 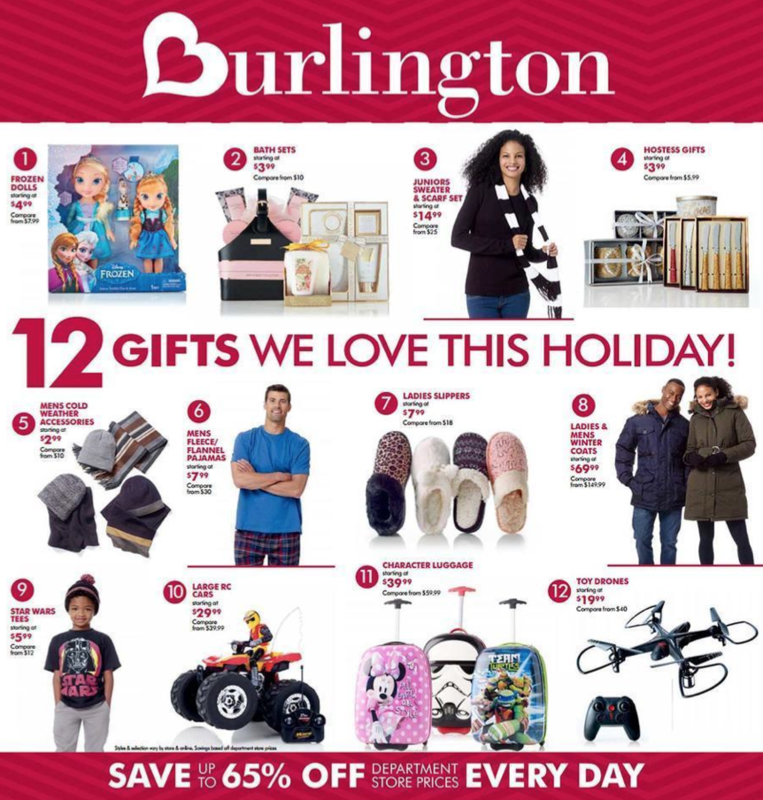 This year you’ll find a whole bunch of stuff on sale at Burlington Coat Factory, including deals on gift baskets, jewelry, sweaters, home goods, toys, and electronics. 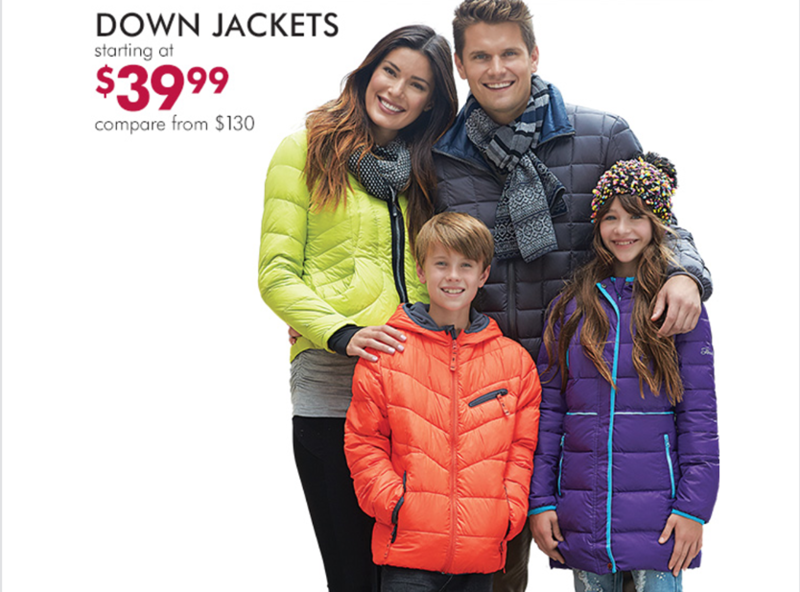 Our favorites include the down winter jackets for men, women and kids starting at just $39.99, weekend getaway luggage bags at up to 50% off, and the assortment of toys starting at under $10 bucks. Here’s the full ad scan for 2014 with some of their highlighted promotions (click to open in full view): Page 1, 2, 3, 4, 5, 6, 7, 8, 9, 10, and 11. 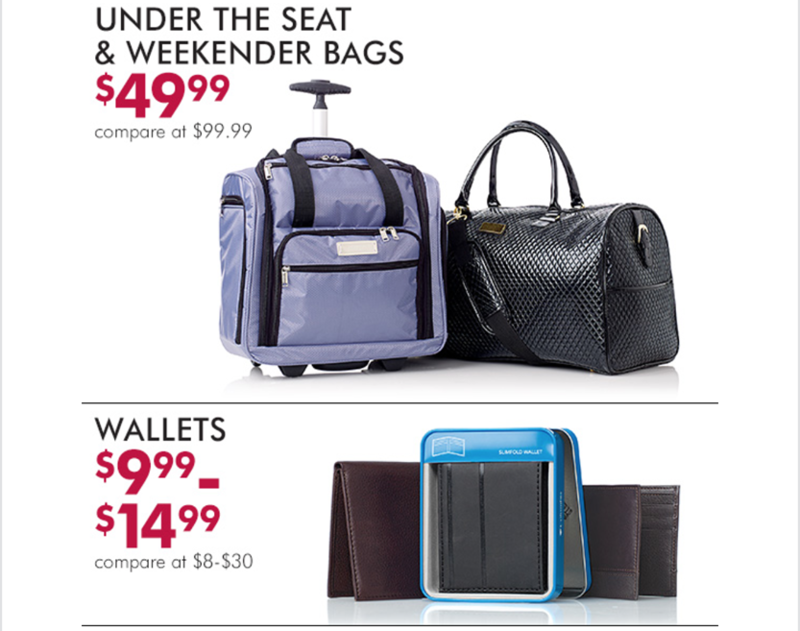 Search for the nearest Burlington Coat Factory store in your neighborhood. If you have order related questions or need product return assistance then you can contact Burlington Coat Factory Customer Service by phone at 1-855-355-2875. Their line is open Monday through Friday from 8:00AM to 8:00PM EST (excludes Easter, Thanksgiving, & Christmas day).